A Carbon Laser Facial (also known as the Black Doll Facial) is a NEW non-invasive skin rejuvenation treatment which can be carried out using the impressive AW3 Nd YAG Q switched Laser. The heat from the AW3 light is attracted to the melanin/oxy-haemoglobin in the blood. The heat reaction breaks down the melanin and coagulates the blood within the area. This then leaves the body through the lymphatic system leaving the skin with a clearer complexion. The heat that is also created within the epidermis and dermis, make the skin react as if it has had an injury. The blood and collagen then rush into this area to repair it leaving the skin with a clearer complexion. 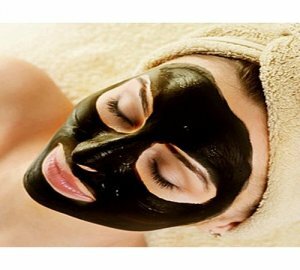 What is a Carbon Laser Facial / Black Doll Facial? What to expect after the Carbon Laser Facial / Black Doll Facial? You can expect to see a reduction in pore size, fine lines & wrinkles, oily skin and have an improved skin tone & texture. Your facial appearence will be improved and rejuvenated giving a more youthful look. How does the Carbon Laser Facial / Black Doll Facial work? Charcoal Carbon Facial cream/paste is applied to the face and allowed to dry for 15 minutes. The AW3 Nd YAG Q-Switch Laser then shoots at the skin with a short sharp burst of laser energy. This works by the Laser light being absorbed by the carbon paste which not only penetrates deep into the skin (dermal layers) but also exfoliates the epidermis giving maximum, short and long term results. The treatment takes approx 45 mins from start to finish. How does the Carbon Laser Facial / Black Doll Facial feel? The treatment is comfortable and only a minor sensation similar to pins and needles is felt. Click here to check the authenticity of my certification using the certification number below.